Given our lifestyles these days, we do face many health challenges. Lack of physical exercise, irregular sleeping and eating habits, stress, incorrect eating and an increase in beverages, all contribute to many digestion related problems. These could be minor gastric problems, acidity, bloating, constipation, IBS (irritable bowel syndrome), diarrhea or ulcers. These are in addition to problems like increase in fat content around the waist and many lifestyle diseases. Stress. If we are facing stress for a certain length of time, it impacts digestion. Eating out frequently. If we eat out too often, it does cause problems. Eating processed and pre-packaged foods and anything packaged off the shelf even though it is supposedly ‘healthy’. Eating stale food. We all eat stale food on a daily basis. Leftovers are kept in the refrigerator and re-heated and eaten. We also make food in larger quantities and eat later. All of this is stale food. Food, water, milk and beverages containing preservatives, hormones, pesticides and additives. All of these cause digestion imbalances. Lack of physical activity or regular exercise is one of the main causes of digestion problems. Eating a lot of heavy foods which require the digestive system to work harder. These include non-vegetarian food, bakes, baked breads, pastries, sweets, processed cheese, fried foods, refined flour, junk food, burgers, pizzas and so on. Beverages like alcohol, soft drinks, energy drinks, coffee and excess tea, all upset the digestive system completely. Irregular and less sleep is another culprit. Sleeping late and sleeping for lesser number of hours causes the gut to react. Now imagine that there are so many reasons for digestive problems and IBS (irritable bowel syndrome). How does gluten enter in the picture at all? Researches are incomplete and biased and meant to show only one side of the story. This is because gluten free wheat and other products cost at least two hundred to three hundred percent more than regular products. Further, gluten problem is genuinely there for only a very tiny percentage of people and mainly Caucasians. We have generalized a non-existent problem due to smart marketing by the American processed food industry. It is really surprising that the world is running around to go ‘gluten free’. There is no basis to this. How people get affected by wheat or gluten is as random as tossing a coin. There are many people who are not impacted at all. Why stop something which does not harm you because someone else says so? As we have seen, the main reason is caused by incorrect and excess eating, processed foods and chemicals present in the grains and our products. If you reduce grains and non-vegetarian food and increase vegetables, the problem gets resolved. It is probably only a very tiny percentage of the population which has a genuine gluten problem. There are many researches done on Gluten. However, they do not take into account all factors like lifestyle, stress, food habits, exercise, metabolism, genetic and racial factors and so many other variables. There are also other recent researches by credible organizations and individuals which clearly lay bare that there is no so such thing as gluten intolerance or gluten causing problems like IBS in a majority of cases. It is a combination of other causes as stated above. Why Do Problems Occur With Wheat? 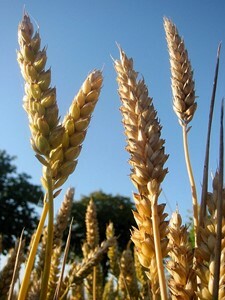 The problem occurs with wheat when we have densely made, grains based food in large quantities. Baked breads will cause a problem, but the Indian ‘phulka’ or fresh chapati is very healthy. Both are made of wheat. Similarly, if you have pasta made of cracked wheat, it may cause problems because it is processed and very dense. But upma or ‘daliya’ made of cracked and broken wheat, or suji, is healthy and does not cause any problem. This logic holds true for all grains and pulses. Eat a lot of ‘dense’ food or large quantities and it will cause IBS and other digestive problems. The solution to these problems is very simple. Check your lifestyle and improve it. Reduce the consumption of grains a little bit. Eat more freshly prepared food and vegetables and sleep well. In order to help you on your way, you can take our online balanced diet plan and learn how to eat more healthy.